Another month brings another round of updates to our plastic bag ban map. The bag ban movement continues to grow, and while there are some disappointments we are pleased to announce that a lot of positive changes have taken place. The influx of litter in Mill City, Oregon got some residents thinking a disposable plastic bag ban was a viable solution. After a lot of discussion the city council ruled to put the issue on hold. It is unfortunate to see the ban not take shape, but several residents have decided to increase recycling efforts, including an educational outreach program. With single-use plastic bag bans gaining momentum in Massachusetts a lot of folks in Wellesley are considering whether their town should join the movement. There has been a lot of discussion and even some public forums. 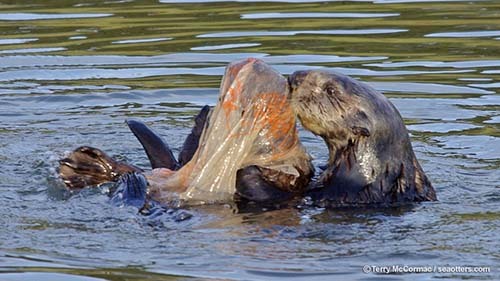 At this time officials are still considering whether to implement a disposable plastic bag ban. In 2008 the Florida legislature passed a law that prohibits cities, counties or municipalities from passing laws regulating single-use plastic bags through bans or fees. In the upcoming session Florida lawmakers will consider a proposal that would allow small coastal communities to pass a pilot bag ban. The communities would determine the details of their own ban, and the bans would last for 30 months. Lawmakers will determine if they want to move forward with this measure and fine-tune the details such as what happens after the pilot programs expire, and whether there will be any limits on how many times a community can implement a ban. There was a discussion in Columbus about the merits of banning disposable plastic bags, and the mayor, Michael Coleman, even weighed in throwing his support behind the idea of a ban or a fee as part of a 5-year environmental sustainability plan. The ban failed to gain the necessary support and the idea of a bag ban was put on hold. Instead of a ban there will be an increased emphasis on recycling. A group of retailers have agreed to work to implement a program of accepting single-use plastic bags for recycling. The South Portland Maine City Council voted unanimously to pass a 5-cent fee on single-use plastic bags. The fee is intended to reduce the use of disposable plastic bags, and is modeled after a measure that was passed in Portland. The fee will roll out on March 1, 2016. In the meantime the city will conduct an outreach program to explain the details to retailers and educate residents. As always, we are thrilled for the bans and fees that have been put into place and we’re excited about the proposals in the works. To learn more about the bans and fees that have passed, along with the not-so-successful efforts review our bag ban map and visit us HERE to design your own custom reusable bag to market your brand!